When the first whisperings begin to circulate that Moeche are in the market, all prior plans go out the window. The Chefs and mothers alike, make room for these strange, illusive creatures on their menus and in their shopping baskets. It is very probable that the fact that they are only available twice a year, for such a short period, has enhanced their appeal, as with all things, and I also believe it impacts the way in which we eat and savour them. However, they are also so popular simply because, when cooked right, they are truly fantastic. As mentioned before, there are two periods of the year, Autumn and early spring, when Moeche can be expected at the market and as result, on restaurant menus. But the beauty of nature, is that it is a law unto it’s own, and therefore every year it is different, it takes an expert eye to observe the coming season. 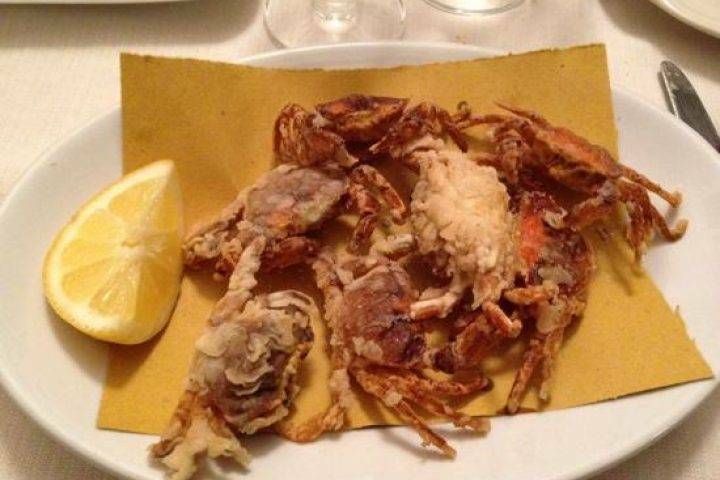 Soft-shell crabs are called such because they are caught in the very brief moment in which the Moeche, shells its hard outer layer and has not yet grown another. For this reason, it is one of the most skilled forms of fishing because it requires a knowledge that is far more than just theoretical. 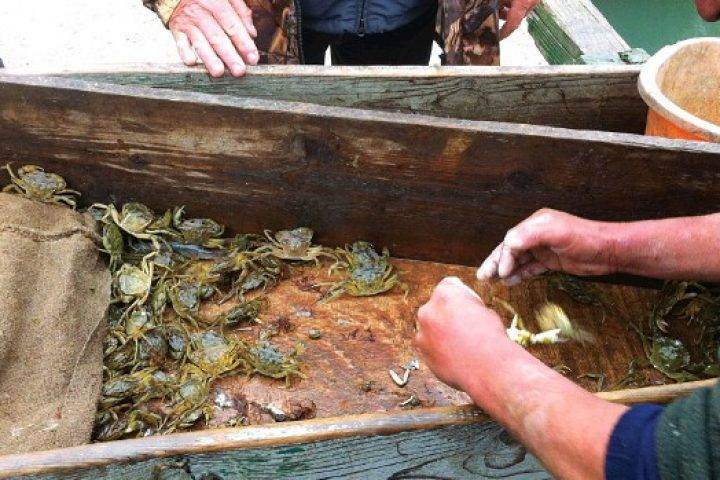 It takes an experienced hand to recognize the touch of a soft shell and distinguish the colourings of Moeche instead of Granche. The window of opportunity is so slight that when the first crabs start to lose their shells the fishermen must act fast. 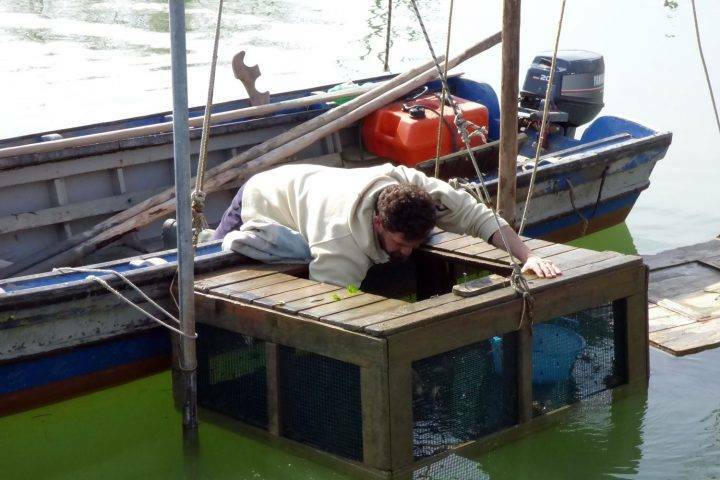 The crabs are kept in wooden holding pens, which is the same traditional methods that have been employed for years. 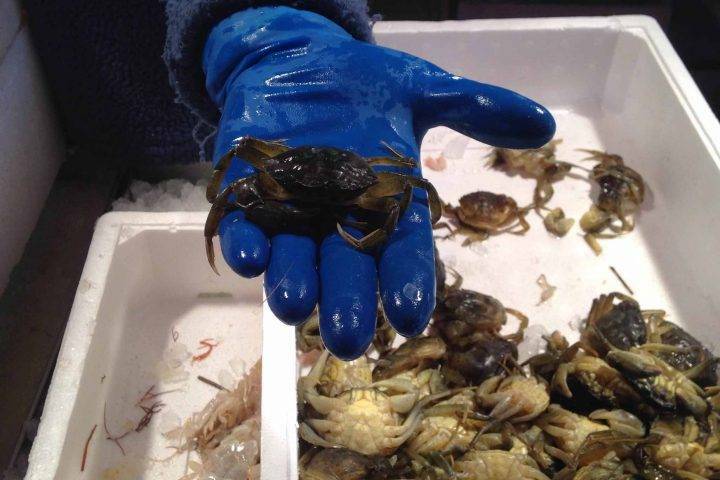 These small vats can sometimes become overcrowded meaning that the crabs who have lost their shells first, ‘naked’ freelings, are at risk of being attacked by the other crabs. 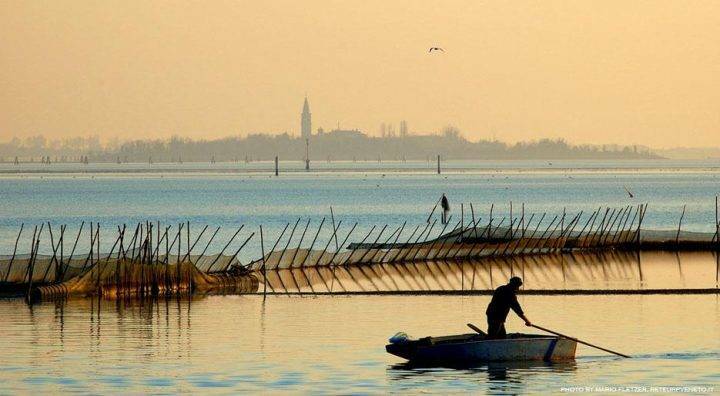 The tradition of Moeche is above all present on Burano, where there are 8 families of fishermen who are well known for their generations of knowledge that has been passed down from father to son. This type of fishing cant help but bring a new found respect to the whole profession, because there is so much more than meets the eye. It has been acquired over time, observed patiently and shared from generation to generation. You really can’t help thanking and marveling at our predeccessors who unearthered these wonderful mysteries. First, remember that the Moeche will be live when you buy them from the market, so do not be alarmed at this. At home, prepare a batter 2 eggs. Beat the eggs together and Drop the Moeche in the egg mixture and allow them to gorge themselves on the batter. Some people prefer to cut the claws of the Moeche so that more mixture is absorbed, but that is not entirely necessary. Next, bring a heavy set pan of boiling oil over a high heat. Pass the Moeche lightly in flour and then drop them in the boiling oil until they lightly brown. It is probably necessary to do this in batches, so remember to let the oil return to the right temperature before adding the second batch. Remove and add a pinch of salt.